The tail-end of 2004 saw a rare event when not one, but two movies with a strong wine theme were released in the UK (and now the USA and rest of Europe too). 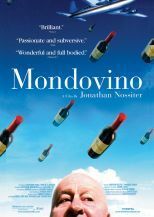 This unprecedented focus on wine on the silver screen roused a lot of attention amongst wine-lovers, and a great deal of pleasure when the films turned out to have plenty of merit in their own right. These two movies couldn’t be more different: Sideways is Hollywood director Alexander Payne’s fictional account of the emotional and physical journey of two friends, played out against a background of wine and a tour through the Californian vineyards; Mondovino is Jonathan Nossiter’s hand-made documentary which looks at globalisation, specifically with respect to the wine business and a handful of its super-influential figures. Sideways is a story with a strong message; essentially it is the tale of recently divorced and terminally unsuccessful novelist Miles (beautifully played by the dead-pan Paul Giamatti) who takes buddy Jack on one last road-trip before his imminent wedding. There is a huge enjoyment factor as the tale unfolds, the pair heading off to tour the wineries of Santa Barbara, play golf and indulge in some male-bonding. Miles is the passionate wine nut, earnestly discussing the finer points of malolactic fermentation with a slightly non-plussed Jack within 10 minutes of their journey beginning, and more than a little put out when he learns that Jack has his own plans, and his own agenda for the trip that is not quite so pure.The difference in attitudes that will lead to massive tensions between the pair is summed up in one early scene, when party animal Jack reaches down for a bottle of 1992 Byron sparkling Pinot Noir on the floor of their car, and cracks open the lukewarm fizz to swig on the journey, much to Mile’s horror and anguish. On the journey they meet two strong female characters, Maya, a waitress and Stephanie who greets visitors in a winery. Jack treats Stephanie badly and gets his comeuppance, whilst Miles dances so cautiously around Maya that he risks blowing his chance to find a soul-mate. Sideways has been a huge critical and box office success, and has reached a much wider audience than wine buffs. It is funny, warm and charming, and demonstrates a huge affection for wine. It is also a brilliant story about middle age, self-respect, friendship and the power of positive thinking. Mondovino is a whole different ball-game. Nossiter is a filmmaker with a good track record, but one who also lists “sommelier, consultant, and wine writer” on his C.V. Filmed across three continents, in five languages, over a three-year period, Mondovino is cut from similar cloth as one of Michael Moore’s shambolically sharp film documentaries, or Morgan Spurlock’s Supersize Me. It is a political film with an agenda, though unlike Moore or Spurlock, Nossiter tries to present both sides of the argument. But whilst leading global figures are given their chance to explain and justify what they do, some very subtle cutaway shots and juxtaposition of interviews consistently undermines their arguments.Now cut from three hours to just over two, this film still feels slightly over-long to me, or perhaps not overlong, but just lacking a bit of narrative structure. The themes are constant – globalisation, big fish swallowing little fish, the lust for profit overpowering tradition and quality – but though these themes are woven throughout the film, there is a lack of cohesion that made the non-wine-geeks in my party wriggle in their seats and check their watches towards the end. Many commentators have said the film is “anti-Robert Parker”, but in fact Parker is treated relatively sympathetically, if very deliberately framed as a mundane, middle-American figure, filmed at-home with his wife, their flatulent dogs, and shelves crammed with ornament and clutter. It is flying winemaker Michel Rolland and Napa’s Mondavi family who are most in Nossiter’s spotlight. Rolland is shown as a disingenuous smooth-talker, whilst Nossiter puts an almost Mafioso-like spin on the Mondavi’s with their wheeling and dealing in France and Italy. Nossiter’s good guys are independent vignerons like Hubert De Montille from Burgundy and Aimé Guibert of Daumas Gassac, struggling against the onslaught of big-money incursions into their territories and defending the hand-crafted quality of their wines. 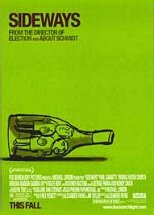 A prior degree of knowledge of both wine and wine politics is needed to get the best out of this film, as otherwise the shaky hand-held camera work, flitting from language to language (with subtitles) and relentless segwaying of one story into another makes the “plot” difficult to follow. I also suspect the disarming and charming Nossiter (who’s voice is heard and who occasionally appears on film) will be accused of being underhand – I have already spoken to one winemaker who says he was misled about the nature of the film in which he participated. But Mondovino has important things to say about globalisation, and is right to pick wine as an example. It is worthy and essential viewing for those with an interest in this topic.